UPDATE: SEPTEMBER 2015: KING COUNTY TURNS OVER PUBLIC RECORDS LINKING SNOHOMISH COUNTY POLITICAL APPOINTEE JOHN E. PENNINGTON TO ILLEGAL TRACKING OF US CITIZENS OVERSEAS, AND CRIMINAL HARASSMENT AS EXPOSED IN THIS ARTICLE. Corrupt public officials like Lori Batiot are making criminals out of non-criminals and “We the people” must do every thing in our power to peacefully expose cockroaches who misuse their power to cover up their own wrongdoing regardless of the financial cost. All too often, they are hiding inside public agencies. As such is the case of corrupt Duvall Washington police officer Lori Batiot. In June 2015, King County releases public records from Sheriff’s Officer documenting gross civil rights violations, domestic spying, and it involves the Port of Seattle, US Customs agent Curtis Chen, King County Sheriff’s Officer Cary Coblantz, , and a police officer from the City of Duvall named Lori Batiot. Cary Coblantz then illegally tracked Block and her partner coming from London Heathrow Airport to Seattle as well las Block’s private investigator and his wife. Gold Bar Reporters is calling for King County’s Internal Affairs Unit to fire Cary Coblantz and informed the City of Duvall that Lori Batiot will be sued under RICO and for 42 USC 1983 violations. Late last week, the City of Duvall released Lori Batiot’s Washington State Patrol record documenting that she was drunk at the time of a car accident; she blew a blood alcohol content (BAC) of .129 (between 6- 7 drinks), lied to Whatcom County Sheriff’s Officer, and she was on mental health pills Zoloft and Valium at the same time she was driving drunk. The Bellingham DUI police report confirms our worst fears; the City of Duvall knew about Lori Batiot’s criminal history before she was hired, and we believe that this makes her unfit for public service. Popping pills while drunk driving at minimum should speak for itself. 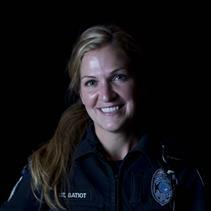 Before Lori Batiot managed to obtain a job as a police officer, her work experience was that of a coffee Barista! The City of Duvall’s employee file of Lori Batiot also supports that she has no college degree and was fired from the City of Ferndale and City of Brier. Must be something in the coffee out there in Bellingham or someone connected to the coffee Barista stands that helped Lori Batiot obtain jobs she is unfit for. We have ample evidence to state that Lori Batiot was hired by the City of Duvall as a political favor to Snohomish County’s number one welfare recipient John E. Pennington. As an idealist who believes that our courts are simply one pronge to a healthy democracy. But lately they are failing to uphold the laws instead are hiding public officials crimes. So it’s up to “we the people” to be the guarders of public agency employees we created and who are paid with the public’s trust. It’s we the people that must protect the First Amendment from all invaders. Police officers are no exception, and yesterday, the Washington State Supreme Court agreed with us. Requesting access to public records, especially emails, is our statutory right. 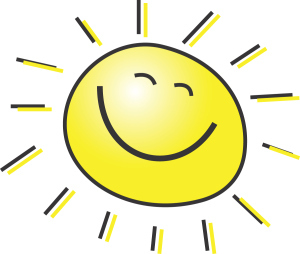 For those of you who have past crmininal convictions, enjoy filing false reports, enjoy having extramarital affairs with city residents, and no college degree, You should inquire within the City of Duvall at http://www.duvallwa.gov/jobs.aspx. « Snohomish County employee sending anonymous public records requests, again!